Great American ART WORKS began production of its pastels 10 years ago. The owner of the business is a chemist, and his initial research into pastel production focused on the materials and methods of the older, established companies. He discovered that old techniques produced old pastels that were no better than the products currently available. To make a better pastel, it would be necessary to use materials, techniques, and equipment not available to the earlier manufacturers. After an extensive search and much trial and error, the right combination of ingredients and methods was discovered. The result is available at your favorite art store. 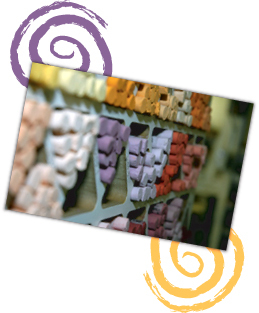 Today Great American ART WORKS pastels are recognized internationally as the new standard of excellence. They are available in 468 colors and at a lower price than the formerly premium brands.